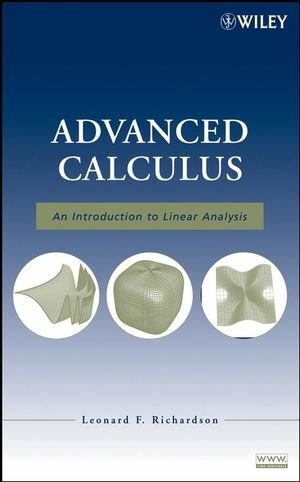 The concepts and theorems of advanced calculus combined with related computational methods are essential to understanding nearly all areas of quantitative science. 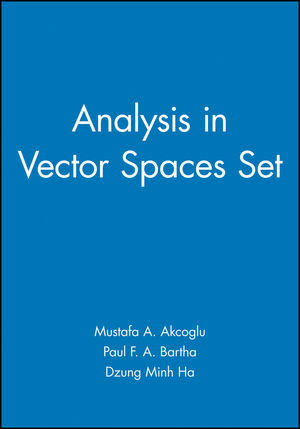 Analysis in Vector Spaces presents the central results of this classic subject through rigorous arguments, discussions, and examples. The book aims to cultivate not only knowledge of the major theoretical results, but also the geometric intuition needed for both mathematical problem-solving and modeling in the formal sciences. Numerous examples and exercises are provided in each chapter to reinforce new concepts and to illustrate how results can be applied to additional problems. Furthermore, proofs and examples are presented in a clear style that emphasizes the underlying intuitive ideas. Counterexamples are provided throughout the book to warn against possible mistakes, and extensive appendices outline the construction of real numbers, include a fundamental result about dimension, and present general results about determinants. 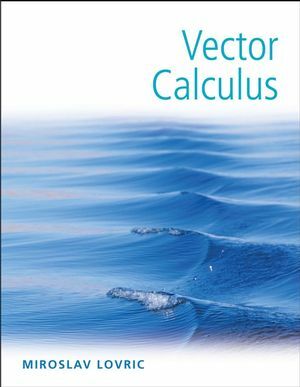 Assuming only a fundamental understanding of linear algebra and single variable calculus, Analysis in Vector Spaces is an excellent book for a second course in analysis for mathematics, physics, computer science, and engineering majors at the undergraduate and graduate levels. It also serves as a valuable reference for further study in any discipline that requires a firm understanding of mathematical techniques and concepts. MUSTAFA A. AKCOGLU, PhD, is Professor Emeritus in the Department of Mathematics at the University of Toronto, Canada. He has authored or coauthored over sixty journal articles on the topics of ergodic theory, functional analysis, and harmonic analysis. PAUL F.A. BARTHA, PhD, is Associate Professor in the Department of Philosophy at The University of British Columbia, Canada. He has authored or coauthored journal articles on topics such as probability and symmetry, probabilistic paradoxes, and the general philosophy of science. DZUNG MINH HA, PhD, is Associate Professor in the Department of Mathematics at Ryerson University, Canada. Dr. Ha focuses his research in the areas of ergodic theory and operator theory. 2.1 Review of the Order Relations. 2.2 Completeness of Real Numbers. 2.3 Sequences of Real Numbers. 2.5 Series of Real Numbers. 2.6 Intervals and Connected Sets. 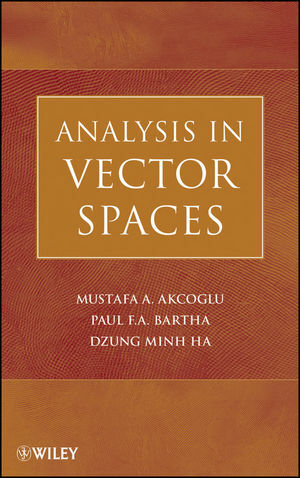 3.1 Vector Spaces: The Basics. 4.2 Convergence in Normed Spaces. 4.3 Norms of Linear and Multilinear Transformations. 4.4 Continuity in Normed Spaces. 4.5 Topology of Normed Spaces. 5.1 Functions of a Real Variable. 6.1 The Inverse Function Theorem. 6.3 Manifolds in Parametric Representations. 6.4 Manifolds in Implicit Representations. 7.2 Change of Order in Differentiation. 8.1 Jordan Sets and Volume. 8.3 Images of Jordan Sets. 9.4 Integrals of Vector Fields. 9.5 Integrals of Tensor Fields. 10.3 Flux and Change of Volume in a Flow. 10.5 Regular and Almost Regular Sets. 10.6 Stokes’ Theorem on Manifolds. Appendix A: Construction of the Real Numbers. A.1 Field and Order Axioms in Q.
A.2 Equivalence Classes of Cauchy Sequences in Q. Appendix B: Dimension of a Vector Space. B.1 Bases and Linearly Independent Subsets. C.2 Determinants of Square Matrices. C.4 Determinant of a Linear Transformation. C.5 Determinants on Cartesian Products. C.6 Determinants in Euclidean Spaces. C.7 Trace of an Operator. Appendix D: Partitions of Unity. All proofs have been written with the student reader in mind. In each proof, the notation and methods have been chosen to maximize clarity and transparency. A large number of examples are included to reinforce new concepts and to illustrate how a result or technique can be applied to additional problems. Counter-examples are also given throughout the book to warn the students against possible mistakes in the subject. The book is self-contained, and the background material in the first few chapters is sufficient to enable well-motivated students to read the book without undue difficulties. To avoid possible ambiguities and misunderstandings, terminology and notation are carefully defined before being used. An extensive collection of exercises is provided, and full solutions are included in an accompanying Student Solutions Manual.